Museum of Naïve and Marginal Art (MNMA), Jagodina, is a specialized institution, unique in our country, with a special programme of museum protection of the works of naïve and marginal art by collecting, studying, exhibiting, publishing and systematizing museum documentation. 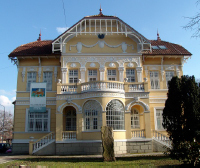 The Museum was founded in 1960 in Jagodina, firstly as Gallery of Self-Taught Artists; in 1985 it received the name Museum of Naïve Art to be renamed into Museum of Naïve and Marginal Art in 2007. Museum has been systematically working on protection of the works of naïve art, primarily Serbian and Yugoslav, to which international works were added in 1994. The mission of MNMA was to provide integral patronage over the works of naïve and marginal art, thus disseminating the true idea of its essence and real artistic value, separating it from other forms of non-academic work, the field of amateurism and dilettantism. The most significant result of long lasting efforts and activities of MNMA is the fact that many deep-rooted dilemmas and illusions about the specific field of naïve and marginal art have been explained. Nowadays, wider artistic audience is obviously more aware of the extraordinary artistic potentials, high artistic achievements and truly creative energy of its most valuable works while naïve and marginal art is properly viewed among the professional circles, and evaluated as a constituent of contemporary, equal to academic art. The Collection of MNMA is international in its character with more than 3000 works (paintings, sculptures, drawings and graphics) and about 350 artists from 1930s to the present day. There are works from Serbia, Croatia, Slovenia, Bosnia and Herzegovina, Montenegro, Macedonia, the Republic of Srpska, Bulgaria, Hungary, Germany, Italy, Cyprus, Slovakia, Belarus, Sweden, Turkey and Brazil, among which are numerous representative works of our and worldly classics of naïve and marginal art. In addition to representative permanent display, including the most significant works from the collection of MNMA, the exhibiting activity of the Museum includes numerous independent, retrospective, group, thematic, study and international exhibitions in the Museum, other cities of Serbia and abroad. Since its foundation, the Museum has organized more than 500 exhibitions. Within its rich international cooperation, the Museum has organized numerous representative exhibitions (Vienna, Lausanne, Martigny, Paris, Sofia, Budapest, Bratislava, Prague etc.). Museum also organizes significant international events, Biennial and Colony of Naïve and Marginal Art, as one of the best ways to follow up, study and promote the development of naïve and marginal art in wider, international scope. Museum of Naïve and Marginal Art is a unique documentation centre in this field of artistic creativity. Wealth of documentation resources, systematized in several units through research and archiving, including inventory book, card and photo catalogues, library, archives, CDs and DVDs, records of exhibitions and authors as well as electronic documentation serves as an important basis for professional work and research, and the study of naive and marginal art as a whole or in segments. In addition to accompanying elements of exhibiting activities such as bilingual catalogues and other advertising materials (posters, invitation cards, picture post cards etc. ), the publishing activity of MNMA includes other publications: monographs, miscellaneous collections, graphic maps, calendars. Since 2000, the publishing activity has included electronic editions. MNMA web site is www.mnmu.rs. Web presentation of the Museum was edited in 1998. It was founded in Belgrade in 2013 as a small institute for studying, documentary centre and place of meeting of artists, collectors and colleagues from other similar institutions in the country and abroad. 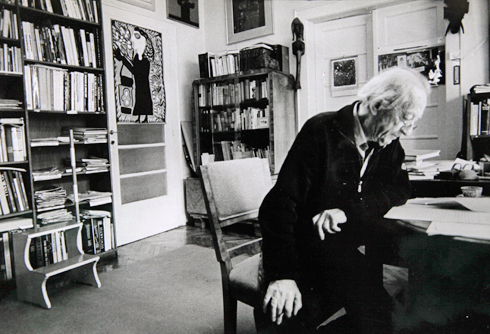 Marijana Bihalji, Oto Bihalji’s daughter and Gerhard Shoenberner, her husband, donated the flat where Oto Bihalji spent his last years to the Museum in order to continue the mission to which, among other progressive ideas, this writer and publicist was devoted. Salon MNMA acts as a portal of mother institution, where, in addition to permanent display exhibition of the works of domestic and international naïve and marginal artists worldwide, numerous multimedia programs such as workshops, seminars and scientific meetings, as well as multimedia, thematic, education and study exhibitions of the internationally most prominent artists are held.